Georgia Army National Guard soldiers receive their combat patches in Laghman Province, Afghanistan, on February 5, 2019. In January, The Stream‘s Military Photo of the Day showcased soldiers from the Georgia Army National Guard’s 48th Infantry Brigade Combat Team as they headed to war. 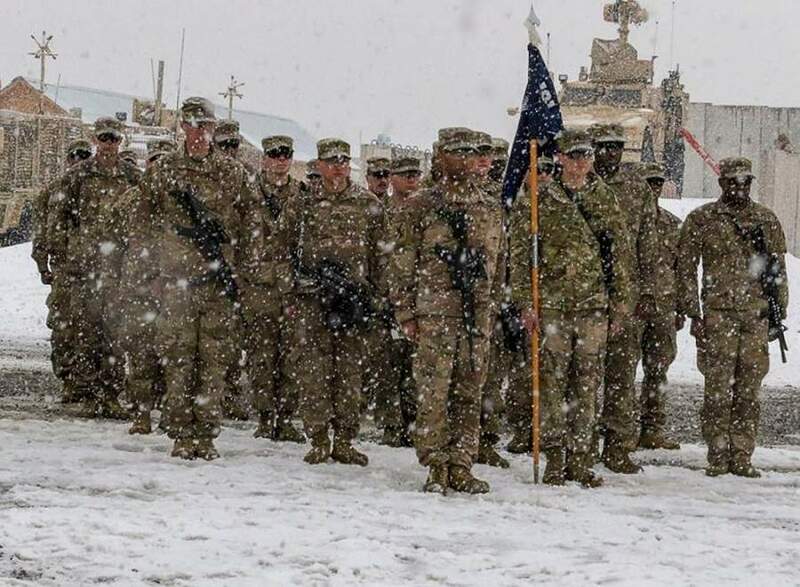 Those brave warriors have since settled into their deployment in Afghanistan’s eastern Laghman Province, where they were honored this week in a snowy February 5 combat patch ceremony. Another ceremony was held the day before. The courageous soldiers pictured above are among the approximately 14,000 American heroes still serving in Afghanistan. Contrary to numerous national media reports that stupidly parroted Taliban propaganda, there is no set timetable to reduce troop levels in Afghanistan as peace talks continue to unfold, according to U.S. Special Representative Zalmay Khalilzad. The deaths of two American soldiers in January, as well as this past Tuesday’s attack that took the lives of two journalists, should remind us all of the dangers that still exist in Afghanistan. While peace negotiations and State of the Union speeches are important, so is paying attention to the ongoing violence there. We must continue to pray for our troops, their families and innocent civilians caught in the crossfire of this 17-plus year conflict. Another airstrike was carried out on Tuesday near Leego, according to the military, which is in the Bay Region. Al Shabaab has claimed responsibility for several recent terrorist attacks, including January’s cowardly ambush on innocent civilians at a hotel in Nairobi, Kenya. The Pentagon just released a comprehensive look at recent U.S. military operations in Iraq and Syria. From reading Thursday’s article, it is abundantly clear that American and coalition forces still face grave danger on a daily basis in both countries. Please pray for U.S. and coalition service members as the war against ISIS, al Shabaab and al Qaeda continues in these countries and around the world. There are few images more uplifting than seeing a member of our military return from a war zone. After a deployment to Afghanistan, this brave airman was recently reunited with his wife in Texas. 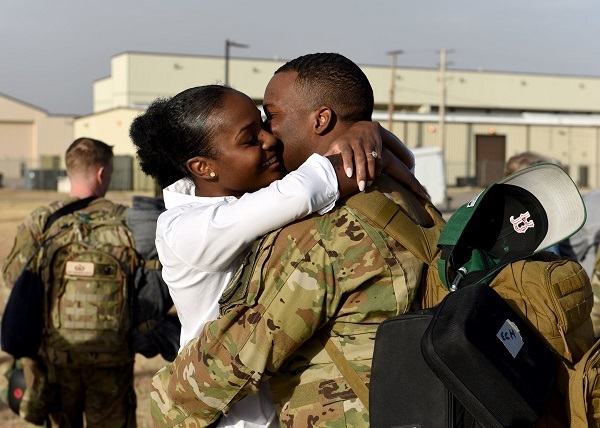 A U.S. Air Force airman hugs his wife after recently returning to Dyess Air Force Base in Texas from a deployment to Afghanistan.